D80 Bridge Expansion Joint is completely composed of elastomeric seal strip.Its displacement is 0-80mm.This type of single bridge expansion joint consisted of Edge Beam and seal strip is applied to the highway bridges construction of less than 80mm expansion and contraction quantity.Type D80 for road and highway bridges applied to carriageway.In cases where the deck slab is extremely thin or for concrete will be provided.Type D80 for road and highway bridges with standard block out dimensions applied to footway.Joints without cover plates feature a more aesthetic apperance and facilitate inspection and maintenance. Looking for ideal Steel Bridge Expansion Joint Manufacturer & supplier ? We have a wide selection at great prices to help you get creative. All the Single Bridge Expansion Joint are quality guaranteed. 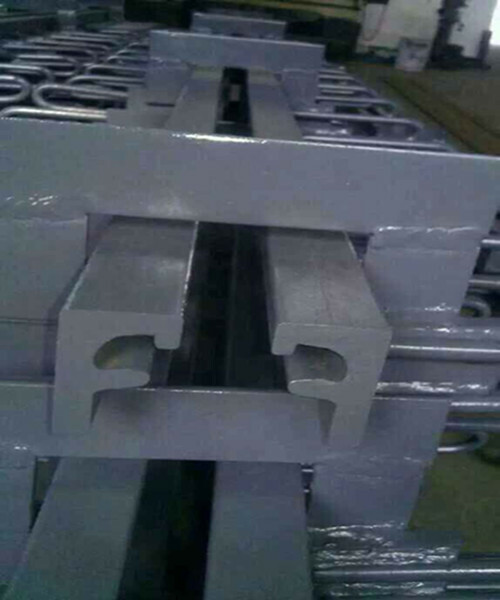 We are China Origin Factory of D80 Bridge Expansion Joint. If you have any question, please feel free to contact us.